pyramids on mars?. 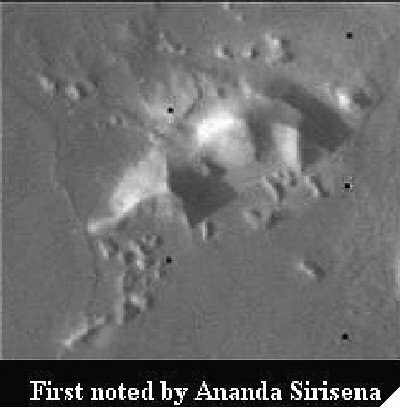 this चित्र was taken from mars and shows a pyramid like structure, very similar to the egyptian pyramids. Wallpaper and background images in the अकल्पनीय club tagged: photography mars pyramids conspiracy aliens image space. This अकल्पनीय photo might contain sporozoan, स्पोरोज़ायन, प्रोटोजोआ, protozoon, प्रोटोजोअन, प्रोटोजोइन, protozoan, भ्रूण कोशिका, प्रारंभिक सेल, कृत्रिम कोशिका, भ्रूण कक्ष, and प्रारंभिक कक्ष. SO.......E.Ts must have or are living there.